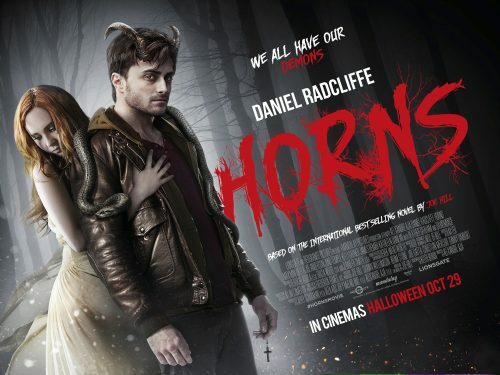 Two new things have just hit the web about the new Daniel Radcliffe film. The first is the new poster. The thing about posters today it seems that the closer to release the more photoshoped they become. This is no exception. It’s not as bad as The Expendables 3 attempt but it does do something odd to Daniel’s face and coat. The other thing is the release date. It’s been changed slightly from Halloween to a couple of days earlier on Wednesday October 29. It still refers to this date as Halloween. I’m old enough to remember when films just had a release date that was on a Friday. Sometimes they had “previews” on the Wednesday or Thursday before but for the odd film. It’s now that the film “releases” on that day instead of calling them previews. This early opening still counts towards that, important, first weekend figures. This one has extended that by another two days. This gives the film a five day opening weekend.